John the plumber returns to, amongst other things, install the bath/shower mixer taps (Grohetherm 1000 for those that are interested). 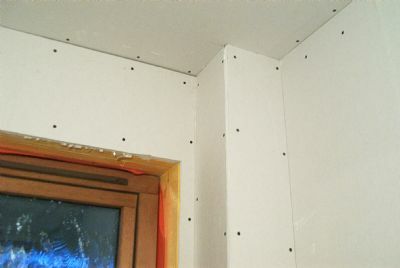 This will allow us to fit the last 2 sheets of plasterboard upstairs. 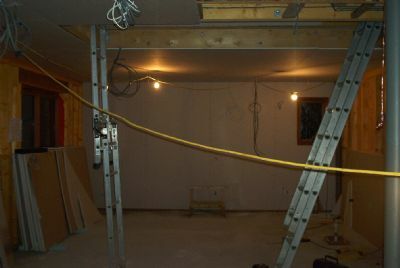 Downstairs the ceiling plasterboard is completed and a start is made on the end wall of the bedroom. 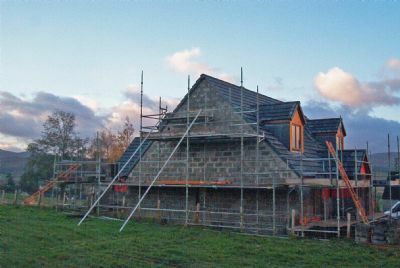 Robert finishes the blockwork on the north and east facing walls - two up and two to go. 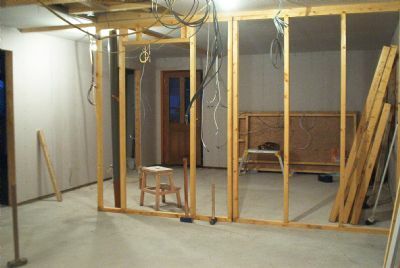 A productive day inside results in the outside walls and porch being sheeted and a start made on the partition between the hall and the TV lounge. 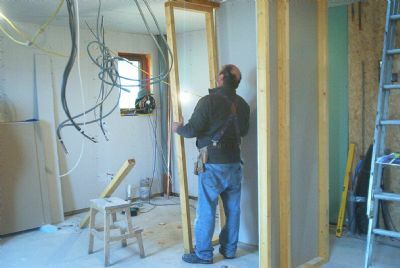 More ground floor partitions - Alex fits the side of the fitted wardrobe. 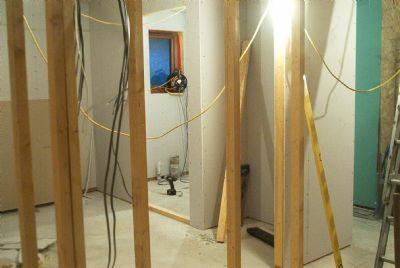 The finished wardrobe and partition wall to the en-suite toilet. 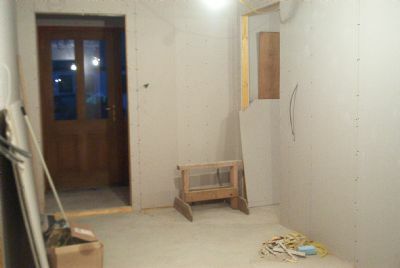 Downstairs partitions and plasterboarding nears completion as the bedroom is separated from the hall. 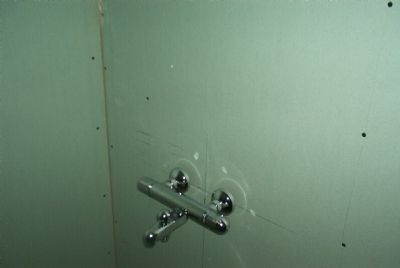 The finishing touches are applied - the soil pipes are boxed in as John the plumber returns to fit the upstairs shower tray. 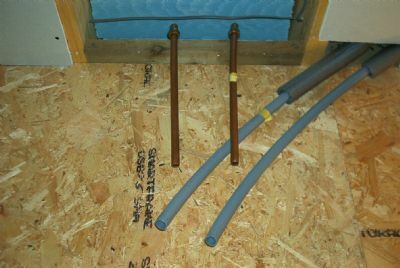 In a slight change of plan we ask John to run two extra (copper) pipes from the service cupboard to the loft space, which will give us the option of installing a solar panel to help cut down on domestic water heating. 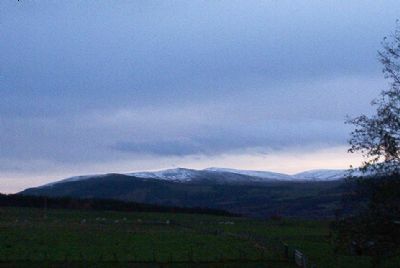 After an arduous trip to Ikea Glasgow to collect the fitted Bathroom furniture, we return to find that the snow has come to the hills (cue for a song, maybe?). It is nice to look at but we hope it will stay up there for some time yet!